The Centre for Australian Progress is a new organisation dedicated to building the advocacy capacity of Australia's civil society. 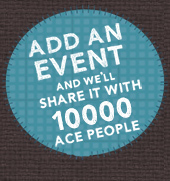 Our key programs include training, community building events and incubation of new collaborative projects. We work to help Australian campaigners be more than the sum of their parts. Through coordination, messaging research, knowledge sharing and skills-training we help campaigners deliver at a higher level. Where the social sector lacks the capacity or forward-planning to engage in public debate on vital issues facing Australia, we help incubate major coalitions and new ventures. Make your actions count! CounterAct was launched to support communities in taking effective, creative, strategic action on issues of environmental and social justice. Across the country we are seeing a growing network of concerned citizens taking on large multinationals and government to defend their right to clean air, water, a safe climate and for social justice. CounterAct the corporate-government system with training and skills to grow your community or campaign. 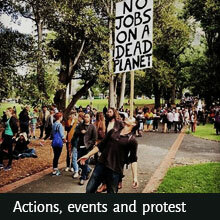 CounterAct will be providing training in direct action skills, campaigning and community organising across Australia. We aim to increase capacity and skills amongst grassroots activists whilst encouraging a culture of skill sharing, on-training and making activism accessible for everyday folk. Check out the resources available to strengthen your campaign on our website. 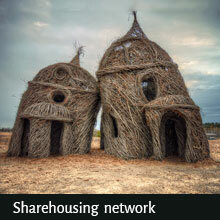 Keep up to date about training and skillshares held across Australia. DAA provides training opportunities for diaspora organisations promoting human rights in places of war and conflict. This includes relevant training from external sources and specifically designed workshops coordinated by DAA including organisational development, fundraising and campaigning. 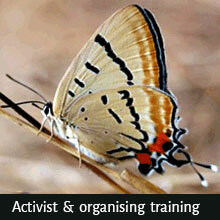 These sessions combine theory and practical so participants can build their activism skills. 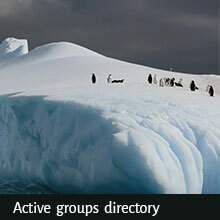 They also provide an open space for collaboration and networking with other community organisations. Workshops are facilitated by people who have specialised knowledge, often through first-hand experience of conflict, and offer real-world advice about how to find practical support and resources in Australia. Plan to Win assists individuals and groups to develop the skills and clarity required to win change in the world. The challenges we face on our planet today require powerful social movements made up of passionate, skilled and resilient leaders. There are lessons to be learnt from past movements, useful tools and theories, and abundant creativity to keep coming up with fresh solutions. Plan to Win works with you to: clarify your vision for the future, understand current power relationships and political context, develop effective campaigns, grow your organisation, deepen and broaden the capacity of your people and build community power for change. The Change Agency is an independent social movement education initiative. We work with community organisers and activists in the Australia Pacific region to help people win social and environmental change. We develop, collect and share tools to help activists and community organisers define and achieve their goals. We research social change to learn what works, and draw on action research to inform our facilitation and educational work. We lead workshops with people working for a just, sustainable and peaceful world. The Victorian Council of Social Services Training and Development Clearinghouse is a centralised, user-friendly and community sector-specific service designed to assist community sector organisations to find training quickly and simply. The clearinghouse includes a database of recommended trainers, a calendar of low cost training, conferences, seminars and events and advice for community groups who want to engage a skilled volunteer.